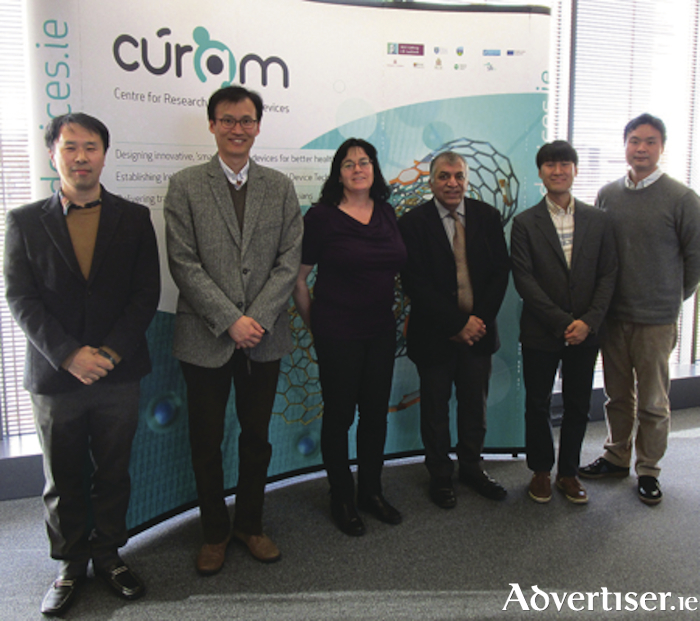 CÚRAM, the Science Foundation Ireland Centre for Research in Medical Devices based at NUI Galway, has formalised an agreement for academic collaboration with representatives from the Biomedical Manufacturing Technology Centre (BMTC ) at the Korea Institute of Industrial Technology (KITECH ). The joint Memorandum of Understanding will see KITECH and CÚRAM establish a programme for academic cooperation to jointly organise conferences and workshops on topics of mutual interest and to exchange faculty and students for limited periods of time for the purpose of education and research. It is expected that the first researchers from KITECH will visit Ireland and CÚRAM in mid-2018. The agreement provides an excellent forum to create and develop synergistic academic projects that will benefit both countries. CÚRAM, the SFI Centre for Research in Medical Devices is funded by Science Foundation Ireland and industry partners, and aims to radically improve the quality of life for patients with chronic illness by developing the next generation of smart, implantable medical devices. Korea Institute of Industrial Technology is a government-funded research institute and drives the nation’s industrial advancement by the development and commercialisation of fundamental technologies and technology support for SMEs. The Biomedical Manufacturing Technology Centre, an affiliated research centre of KITECH, has established a Research and Development supporting system for medical device manufacturing, particularly in the intervention and minimally invasive surgery fields.